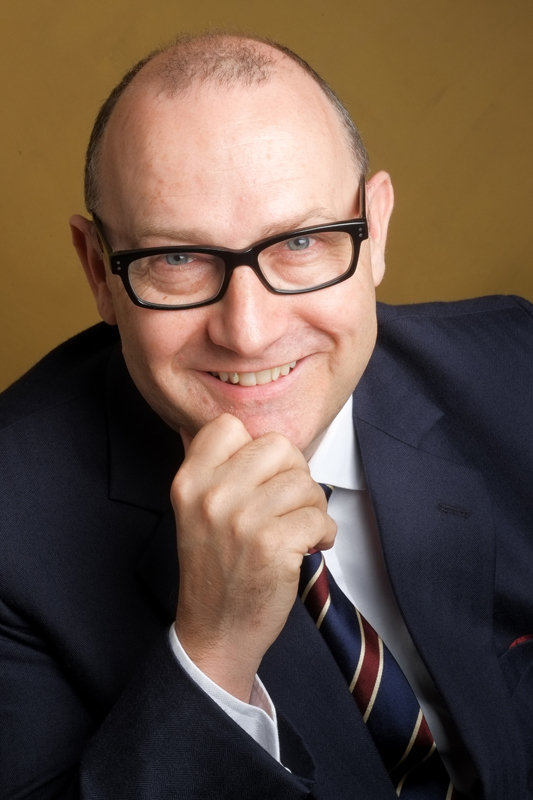 Jeremy is an award-winning TV and radio broadcaster, well known for his news and sports reports for BBC TV and radio. He lives in London where he runs Talking Toolbox, which teaches advanced presentation skills and media training using techniques from over 30 years on TV and radio. Jeremy’s an accomplished after-dinner speaker, especially when they want someone funny, but can’t afford someone really famous. In 2014 his career peaked when he hosted The Good Funeral Awards. 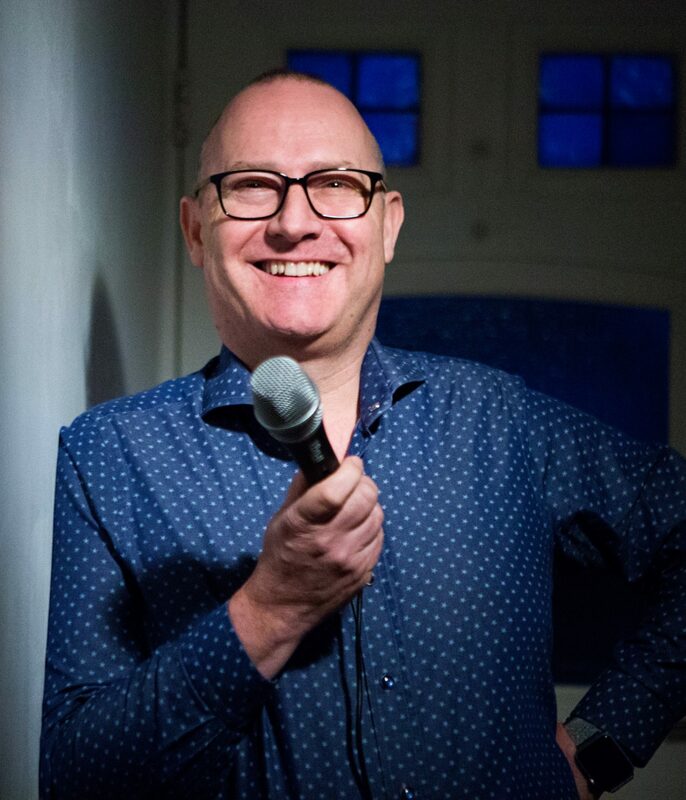 In 2018 his comedy show ‘After Dinner Stories From My Disastrous Broadcasting Career’ enjoyed a successful month long run at the Gilded Balloon, Edinburgh Fringe. In 2019 he’s touring his new show ‘What Are You Talking About? 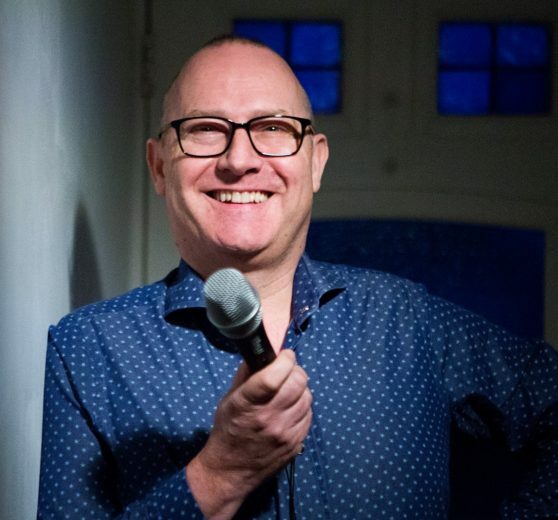 -secrets of a fairly professional speaker’ beginning in Singapore and again taking in a month at the Edinburgh Fringe at Surgeons Hall. He presented The World Today on the BBC World Service as well as winning a Sony Award for his BBC London breakfast show. He’s a well-known voice on news and sports broadcasts, winning A New York Academy Award for his live commentary at the Hillsborough Disaster. He’s much in demand as an MC at events. 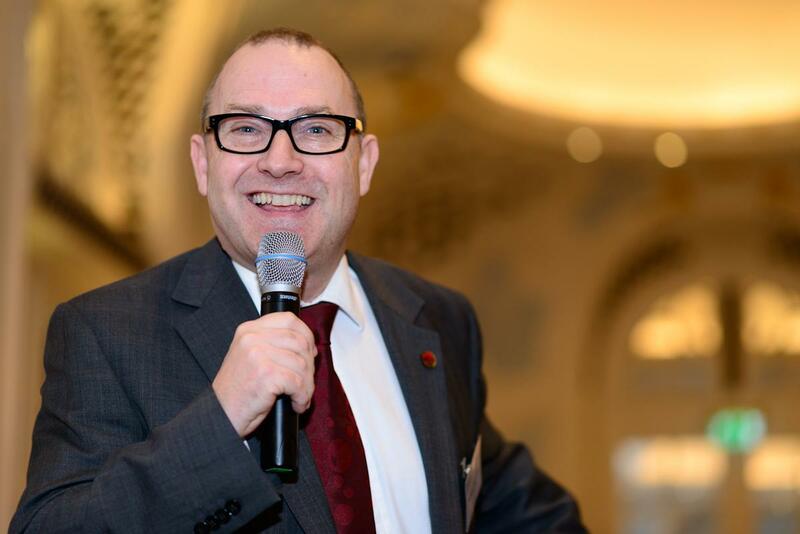 He’s compered hundreds of business events for the likes of IBM, Samsung and Boots. His background as a sports broadcaster is a perfect fit for awards shows. On television he’s reported on the face of Elvis appearing on a piece of Stilton cheese, the Moscow State Circus husband and wife crossbow act who were getting divorced but still had eighteen months left on their contract and Speedy the tortoise having an artificial leg fitted. Tragically pigeonholed as an end-of-bulletin man, he never gets the lead story. He devised the TV sports quiz Sick as a Parrot which he presented on Channel 5 and also on BBC Radio 5 Live. In October 2015 he was awarded the highest award in UK speaking, the PSAE – Professional Speaking Award of Excellence, only the fifteenth person in history to receive it. He’s a past president of the Professional Speaking Association, London. 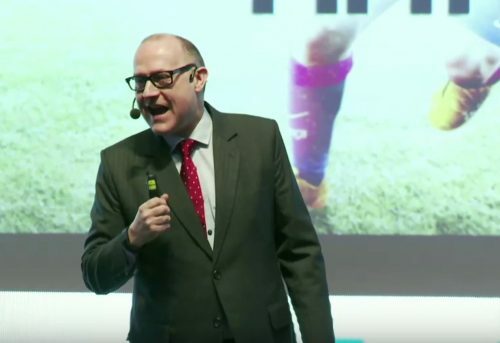 Kids of all ages are more impressed that he’s the voice of the announcer on 11 global best-selling football video games FIFA 06 to FIFA 16. If your children have this game, you will know this man’s voice, perhaps a little too well. In real life he served sixteen years as the stadium announcer at West Ham United FC, announcing West Ham’s goals very loudly and the opposition’s very quietly. TV sports fans will recognise him as the early face of live football on Channel 5, back in the days when the picture was a bit fuzzy. When the signal improved he was replaced by someone better looking. Jeremy’s career highlights include being punched by legendary Nottingham Forest manager Brian Clough during an interview and being ambushed live on air by an armed man claiming to be Jesus. He’s a published author and his third book ‘A Million Tips on Public Speaking. He enjoys sea salted caramels made by multi-award-winning chocolatier Bianca Marton. In fact, he likes them so much that in 2014 he did a Dragon’s Den style investment and now co-owns Bianca Marton Chocolates, the west London chocolate maker. Jem likes to think that his friends refer to him as Willy Wonka, but he may have misheard.